Suncare shopping can be daunting at the best of times. If it’s not picking a brand, it’s what SPF level is best and don’t even get me started on texture! With a plethora of formulas and finishes to choose from, deciding what sun protection you should pick for your family can be a gruelling task. But, and it’s a big but, you’re not alone! We are all in this together, with the same outcome in mind: to stay protected in the sun. So, where shall we start? With the Vichy Ideal Soleil suncare line-up of course! 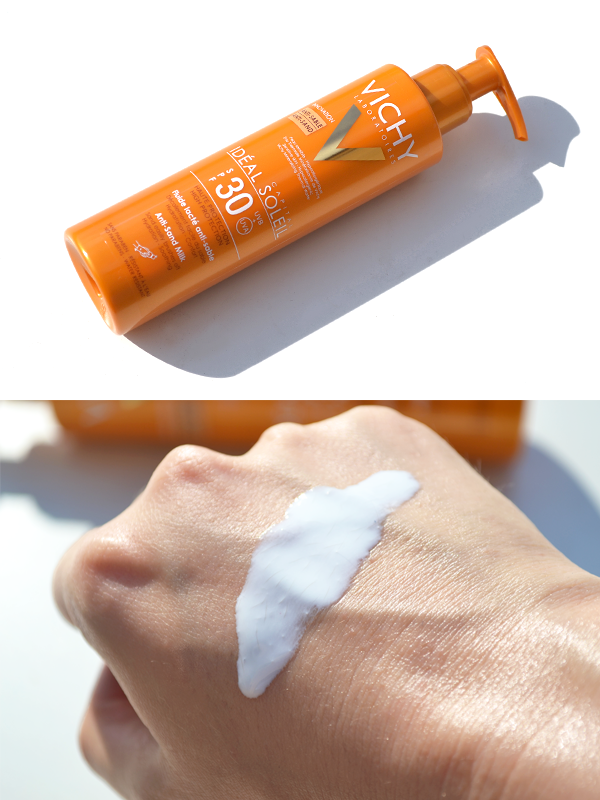 One of Escentual’s best-selling French Pharmacy brands, Vichy is a brand you can rely on, especially when it comes to suncare. 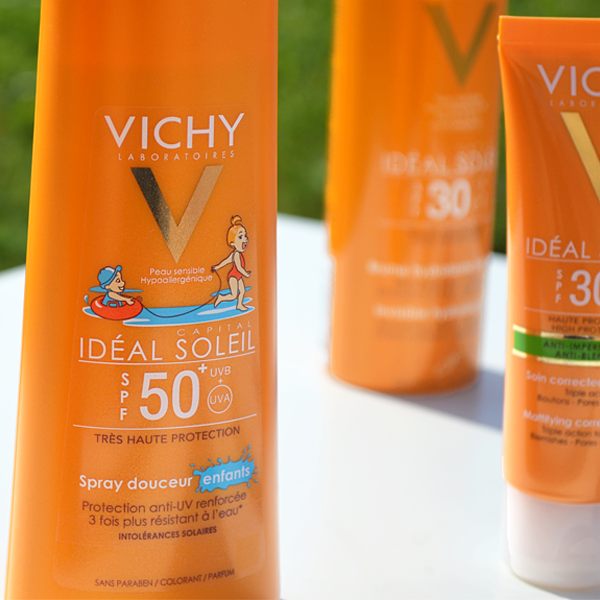 So whether you’re counting down the days until your next trip or preparing for the next heatwave at home, stock-up on Vichy Ideal Soleil, because you can never be too prepared, right? Why Choose Vichy Ideal Soleil? 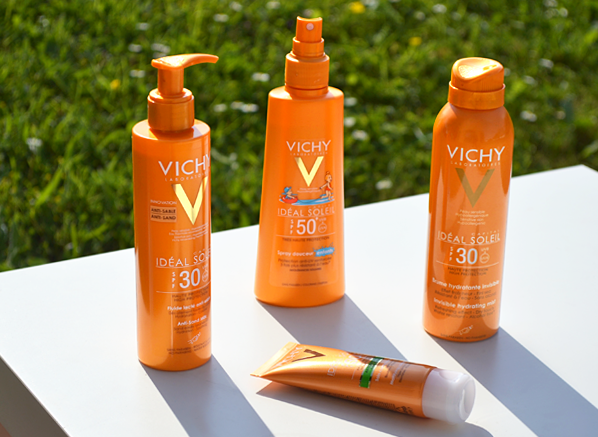 • Tolerance is not optional: Every single Vichy Ideal Soleil product has been tested on sensitive skin. • The Vichy Ideal Soleil range is formulated with Vichy Mineralizing Water, a natural active ingredient rich in 15 minerals. • Every product has been categorised by benefit, to make choosing your ideal protection super easy. 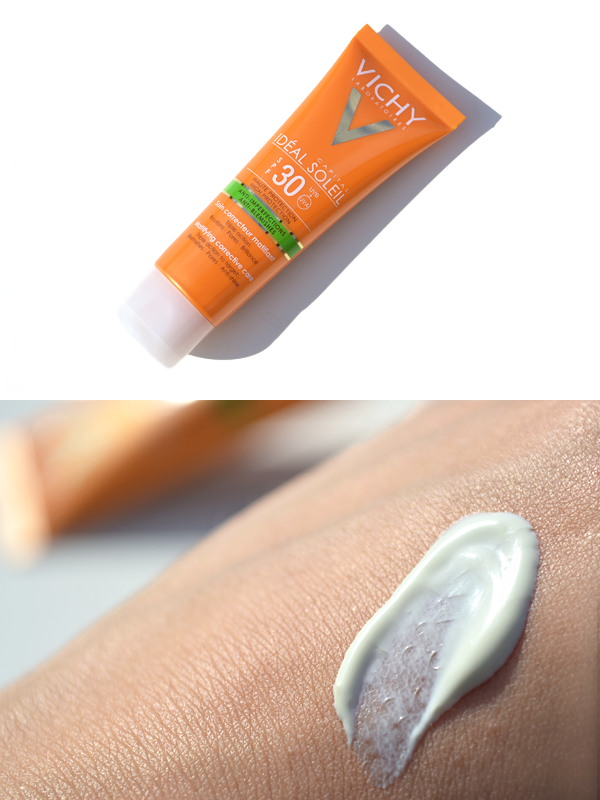 • Created with Mexoryl®, a high efficacy wide spectrum UVA and UVB photo-stable filter system, the Vichy Ideal Soleil line-up offers expert protection from the sun’s rays. Every parent understands the importance of sun protection, however, children may not, so quick and easy formulas that feel comfortable and last are a must for your little ones! 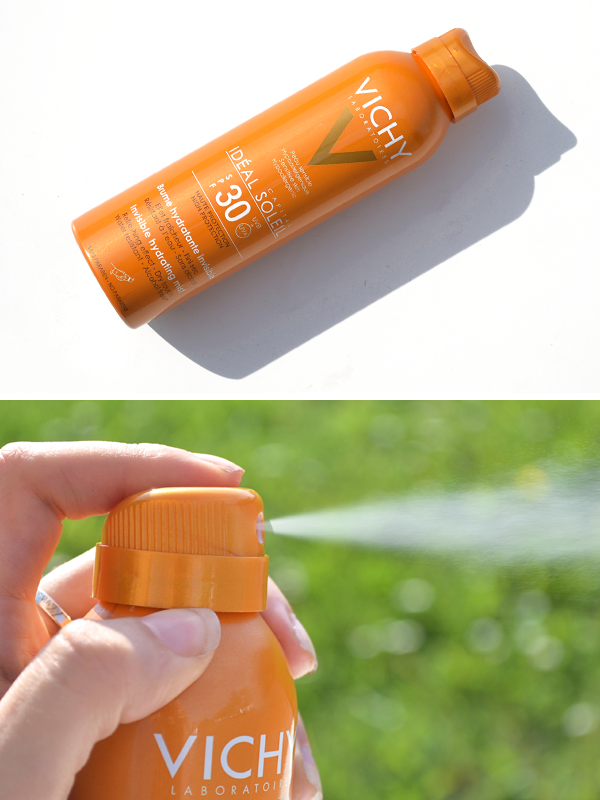 A go-to for any parent should be the Vichy Ideal Soleil Gentle Spray for Children SPF50+, a multi-position spray that’s suitable for sensitive skin and has a very high sun protection factor. The great thing about Vichy suncare is that they understand that keeping your children protected in the sun can be tricky; if they’re not in and out of the water, they’re running away from the SPF! So, Vichy has created a formula that is fast-absorbing, three times more water resistant than European standards and easy to apply thanks to its multi-position nozzle! No more tantrums – from the kids or parents! When you’re on holiday and the sun is shining, the last thing you want to do is spend half an hour applying sun protection. 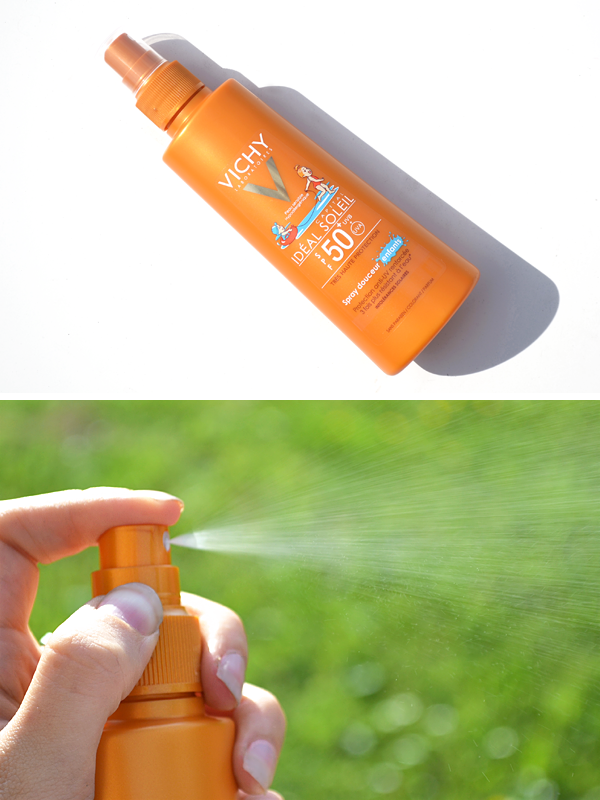 That’s where the Vichy Ideal Soleil Invisible Hydrating Mist SPF30 (also available in SPF50) comes into play. This handy mist is a must-have for those that want to get out the door quicker than you can say holiday. Quick and easy to apply, the mist requires no rubbing in, which ideal if your little ones won’t sit still for longer than a few minutes! But don’t let this easy-to-apply formula lead you to believe it’s any less effective, the Vichy Ideal Soleil Invisible Hydrating Mist will shield skin from the damaging effects of UVA and UVB rays, whilst providing 24-hour hydration. Who said you can’t have it all? Sand has a funny way of getting everywhere you don’t want it to! I mean, who else has had a ham salad sandwich with sand dressing before? There’s nothing worse than that unexpected crunch! If you’ve got a beach holiday in the pipeline and want to avoid sandy sunscreen application then add the Vichy Ideal Soleil Anti-Sand Milk SPF30 (or SPF50) to your basket. Thanks to its non-sticky feel, the formula allows sand to easily brush off the skin so that you can enjoy the beach in all its glory. But, an anti-sand effect is not the only upside to this sun protectant – far from it! The Vichy Ideal Soleil Anti-Sand Milk is, of course, suitable for sensitive skin and is enriched with soothing Vichy Mineralizing Water and UVA/UVB filters, which helps keep skin hydrated and protected. When you have problematic skin applying new sun care formulas can be scary. The burning question will be: “Will it cause me to breakout?”. Well, fear not because the Vichy Ideal Soleil Anti-Blemishes Mattifying Corrective Care SPF30 was made just for you. Created specifically for blemish-prone skin, the Ideal Soleil Anti-Blemishes Mattifying Corrective Care SPF30 works to not only protect the skin from UVA/UVB rays, but minimise the appearance of pores, blemishes and shine. I think it would definitely qualify to call this innovative formula a multi-tasker! 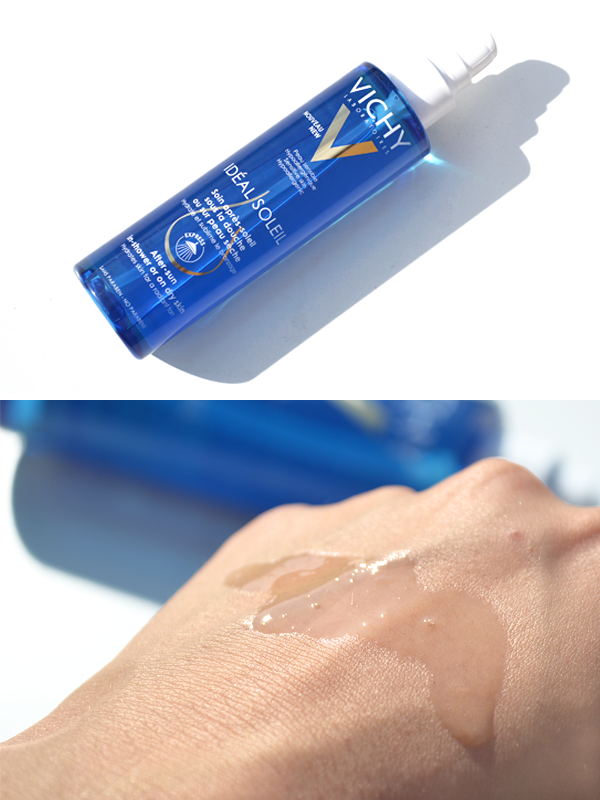 Perfect to use every day and under makeup, this non-greasy sun protectant contains Vichy Thermal Water to soothe, whilst harnessing the power of salicylic acid to target imperfections. Sunburn: we’ve all been there! Whether it’s forgetting to reapply SPF after swimming or falling asleep in the sun, sometimes the sun can get the best of us! Of course, it’s always best to stay as protected in the sun as possible, but if you find yourself cut short and in need of some post-sun TLC, look no further than the Vichy Ideal Soleil After Sun – In Shower or On Dry Skin. No ordinary aftersun, this nifty formula can be used on dry skin or in the shower to soothe and rehydrate. Thanks to an all-star ingredient line-up of shea oil, vegetable oils such as apricot kernel, coriander seed, blackcurrant seed and echium (all rich in fatty acids), you can rest assured that your skin will be instantly soothed, hydrated and a lot more comfortable after this holiday hero. Did you know that an aftersun shouldn’t only be used if you’re sunburnt? If you keep your skin happy and hydrated your tan will last longer and peeling is less likely, so add this aftersun to your packing list pronto! • Which La Roche-Posay Anthelios SPF Should I Be Using? This entry was posted on Monday, June 5th, 2017 at 5:23 pm and is filed under Bath & Shower, Brand Focus, French Pharmacy, Offers, Skincare, Spotlight On, Sun and Tanning. You can follow any responses to this entry through the RSS 2.0 feed. You can skip to the end and leave a response. Pinging is currently not allowed.